From elaborate tombs to the Colosseum, iconic pyramids to the Acropolis, this 15-day tour compares the great ancient civilizations, stepping back through 5,000 years of wonder and enchantment. 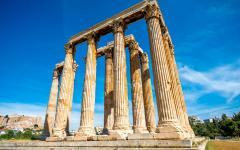 Connecting the original memoirs to antiquity, you spend three days in Rome, another three in ancient Athens, and then five days exploring the remarkable memories left by the Egyptian dynasties. 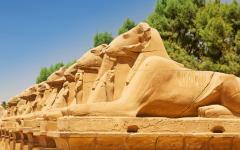 With private guides and direct flights, it's the ultimate journey through ancient history. Marvel at the temples in Luxor and Athens, admiring how the ancient Greeks and Egyptians had much more in common than most people realize. 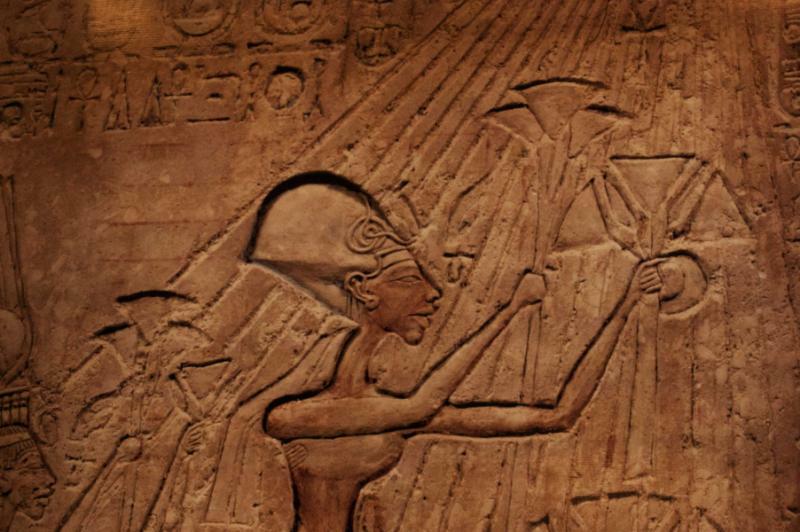 The cradles of the ancient world have always looked impressive on photos. The Pyramids of Giza glistening at sunrise, extravagant temples rising above Athens, the Colosseum seemingly untouched since its last gladiatorial contest. These are the famous postcards, the snapshots of civilizations that date back many thousands of years. But they only become real when all your senses are lost in their atmosphere, when complex hidden details combine with the expression of scale. Magical and mystical, these world wonders invite you into a bygone era, encouraging you to breathe in the ambiance and architecture of their time. 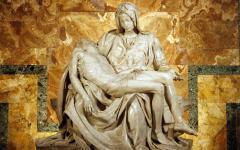 Photos can't do justice to the grandeur, nor can they evoke the enormity of the monuments. But with private tours, you hear your own footsteps cross the stone, inspect the fabulous details filling every structure, and truly discover the cradles of the ancient world. This handcrafted luxury tour combines four famous destinations in 15 days. 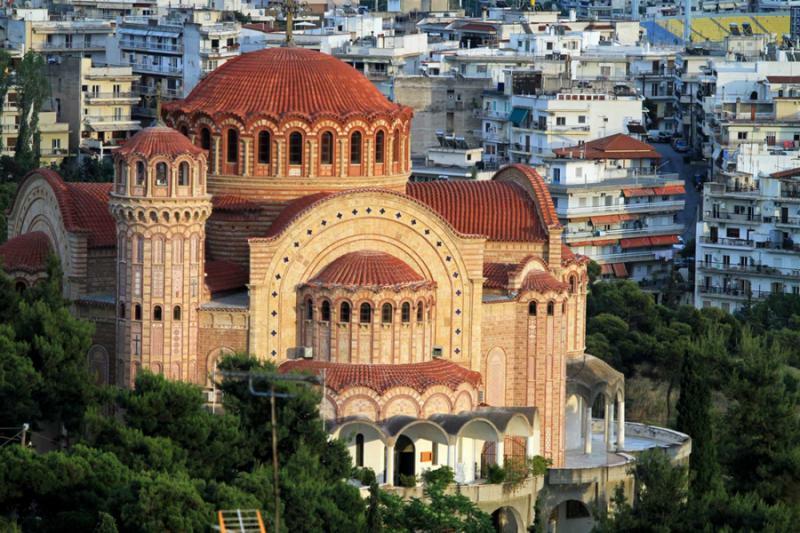 It's not a whistle-stop itinerary, but rather a focused tour that celebrates the odes to antiquity. 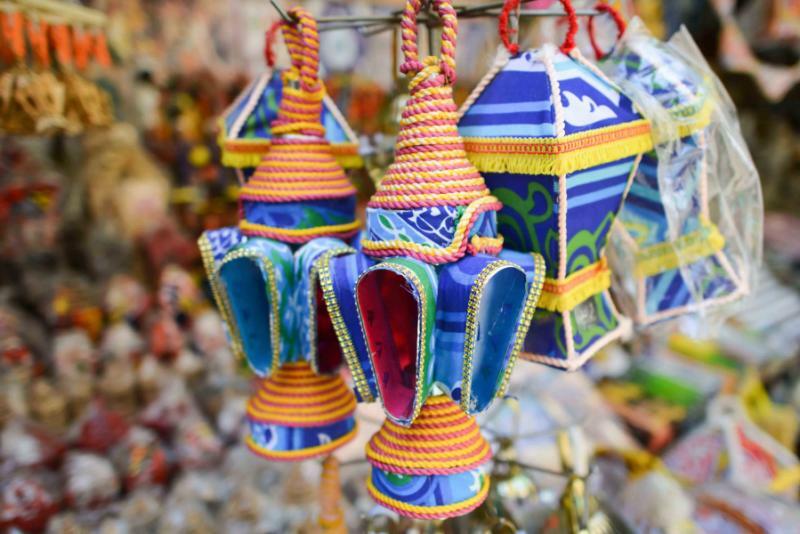 Direct flights connect the destinations and private tours ensure you can unravel the stories that accompany the sights. Select five-star hotels continue the immersion; you'll gaze over the Great Pyramids of Giza from your room, find yourself mere footsteps away from the Agora, and be within the cobblestone heart of ancient Rome. You'll step back in time, starting around 2,000 years ago in Rome. Spend a day uncovering the evocative monuments, from columns to obelisks to the Colosseum. 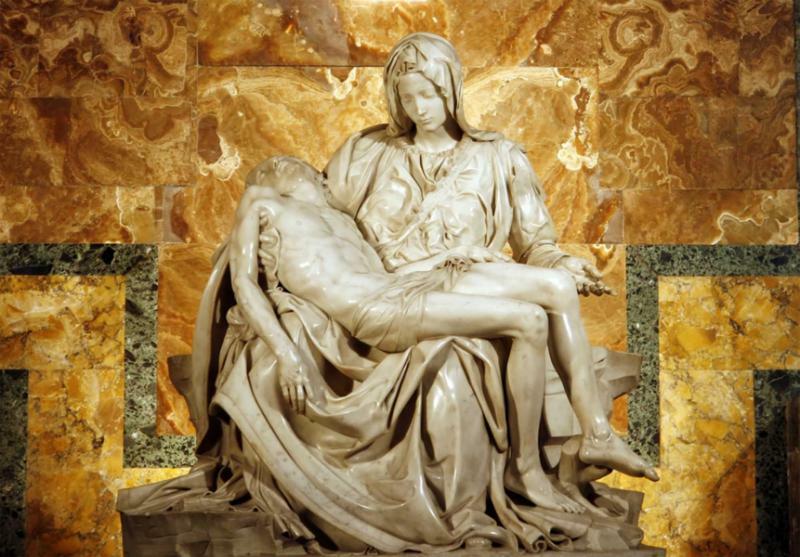 Then enjoy a day amongst the artwork of the Vatican, where the Sistine Chapel showcases why monuments must be experienced, rather than merely seen with the eyes. 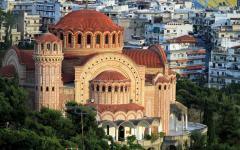 Fly to Athens, and you'll have ample time to explore the magnificent monuments from ancient Greece. Breaking up the sightseeing, A day is spent cruising around two islands outside Athens, a time to takes things slow and reflect on the empires you've just seen. The final five days are spent in Egypt. 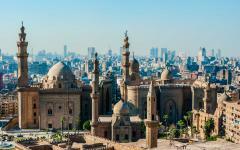 After landing in Cairo, a private guide takes you to the Egyptian Museum of Antiquities, a great place to familiarize yourself with the stories and treasures from the dynasties. 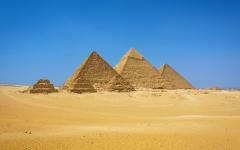 You get to explore the Great Pyramids of Giza, then take in the 4,700-year-old pyramid at Saqqara. 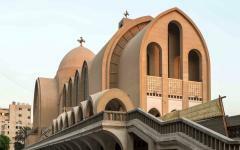 An afternoon in Coptic Cairo complements the discovery and provides further evidence of how the ancient civilizations had huge influences on one another. Land in Luxor and spend the afternoon amongst the Valley of the Kings, before wandering through the astonishing temples and avenues of Luxor's East Bank. 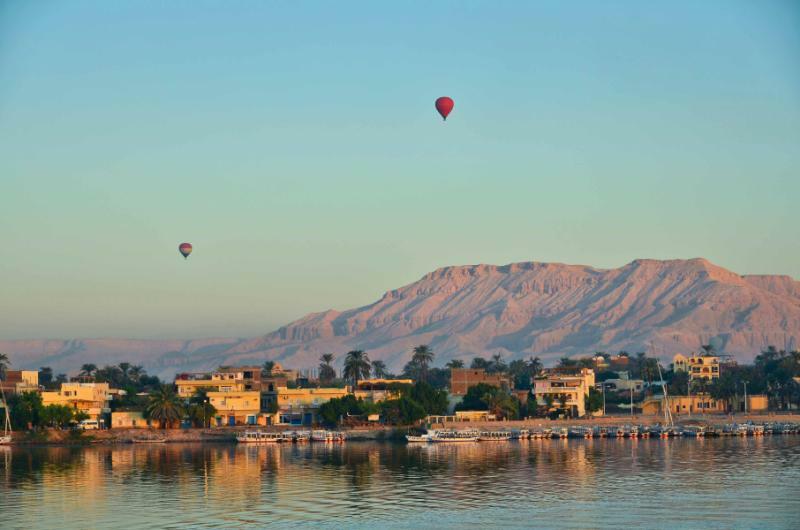 For a final impression of scale, you enjoy a sunrise hot air balloon flight above Luxor West Bank on the final day, before departing ancient Thebes and flying home via Cairo. 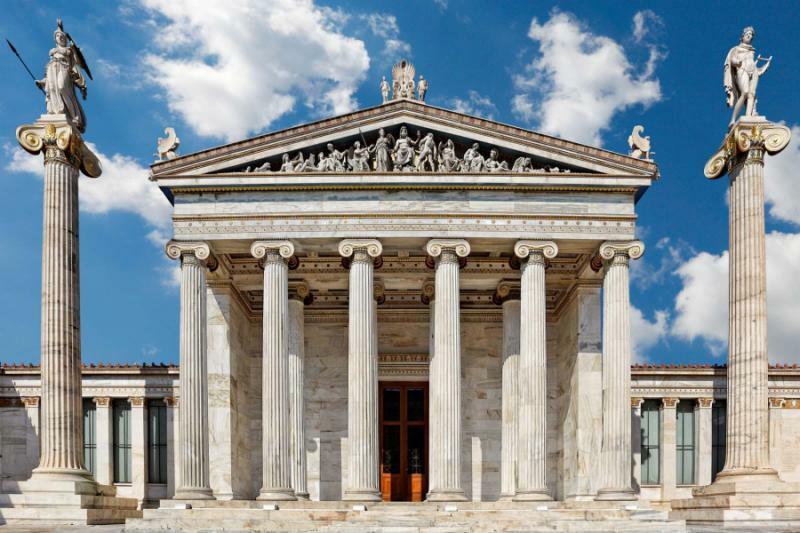 The Eternal City mesmerizes with its historical icons and odes to antiquity. But before you’re immersed in the memoirs to ancient Rome, there’s a cuisine and culture that’s perfect for recuperating from your flight. 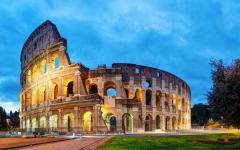 You’ll be greeted at the airport and transferred to a historic five-star hotel in Old Rome, within walking distance of Navona Piazza and the Pantheon. A guide takes you to a pizzeria that’s hidden down a back alley, where you sample the simplicity of real Italian pizza and the full-bodied allure of a bottle of Montepulciano. Relax. Watch the world go by from the restaurant’s terrace. 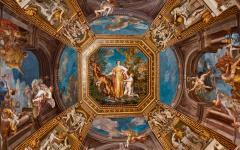 Soak up the hospitality and slow your pace, because Rome is a city that likes to move slowly. Although you may be eager to start uncovering the famous sites, spending a relaxed afternoon on the terraces of the old streets ensures you will be properly reenergized for this 15-day journey through history. From the Colosseum to Piazza Venezia, the remnants of ancient Rome stretch out on either side of a pedestrianized boulevard. 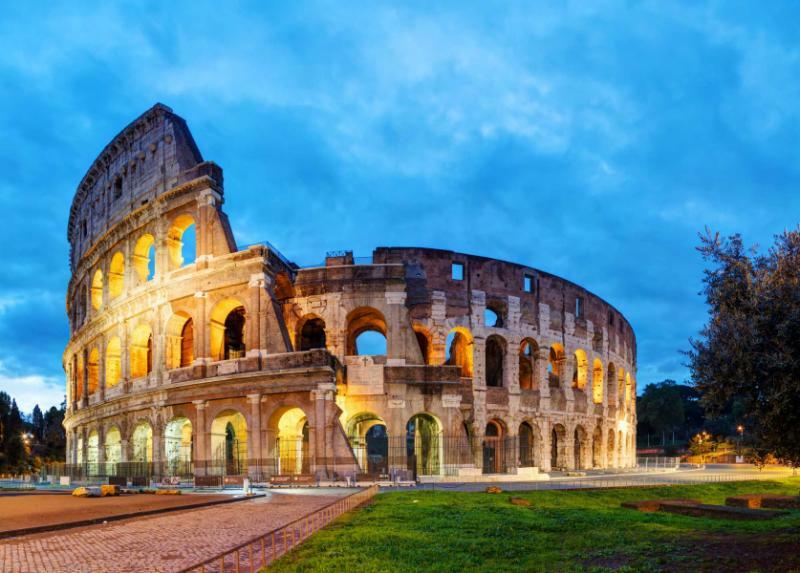 Wander the steps of the gladiatorial arena and marvel at its scale, then walk beside the Arch of Constantine and explore the ruins of Flavian Palace. Journey underground to the Golden House of Nero and walk amidst the ruins of Trajan’s Baths. A local guide and historian leads the journey, narrating the tales of a city beyond comparison. 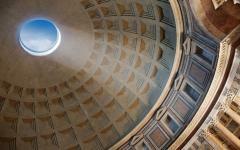 Next, the Pantheon, the best-preserved of all the monuments, built in 125 AD and almost undisturbed since. 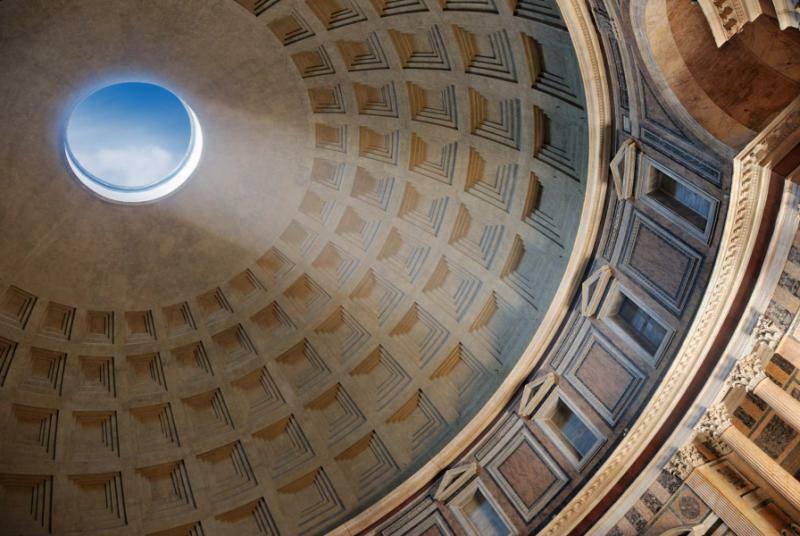 Gaze up at the hole in the domed ceiling then stop for a well-deserved lunch at a restaurant terrace that enjoys fine views over the vestiges of ancient Rome. The guided tour ends here, but you’re in a great position to continue the exploration through the many nearby temples that have been excavated over the last century. 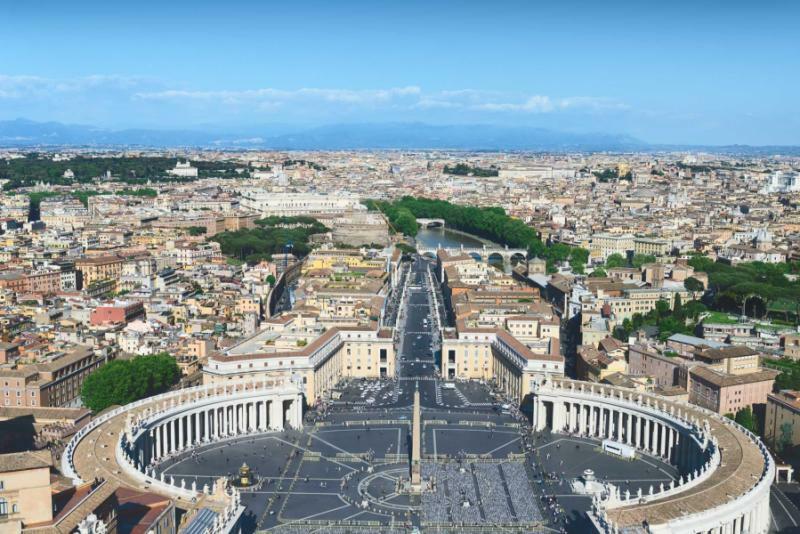 Walking to The Vatican is a special experience, a guide leading you through a maze of Renaissance lanes that are home to dozens of charming churches from contrasting centuries. Slowly, you emerge in the independent city within a city, a state within a state. 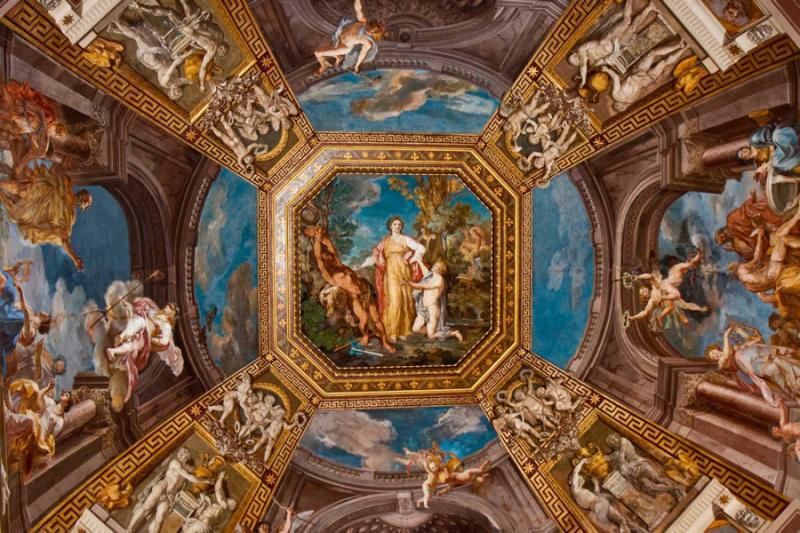 Skipping the queues, you explore the Vatican Museums, admiring the endless chest of artistic treasures, exploring the masterpieces of Renaissance design. 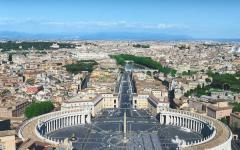 Climb the steps of St. Peter’s Basilica and take in The Vatican from above, then return by elevator because it’s quite a journey back down. The museums are set out in a one-way route, saving the best for last. There’s a surreal atmosphere in the Sistine Chapel, Michelangelo’s famous frescoes encouraging everyone to remain silent. Rock your head back and take in the detail of the domes, such exquisite detail and diaphanous color holding you captive. Exploring this whole area requires the full day, and you’ll have a stop for lunch and espressos along the way. After a relaxed morning, you take a direct flight to Athens, where you’re met by a local guide and transferred to a waterfront restaurant with beautiful views over the bay. Relax. Enjoy a sumptuous meze lunch while taking in the history lesson from the guide. 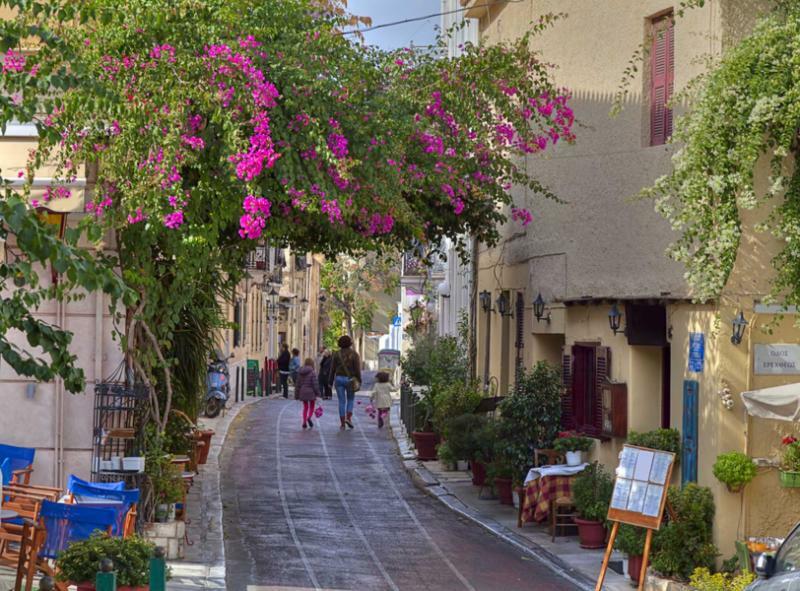 You’ll then be taken to Plaka, a mostly pedestrianized district beneath the shadow of the Acropolis. 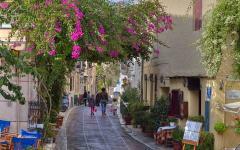 Listen to your footsteps against the cobblestone and photograph the lanes of the colorful houses, the guide providing an introduction to this part of Athens before the afternoon is at your leisure. 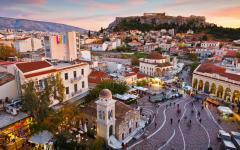 Your five-star hotel is in Plaka, and it’s a delight to explore the streets in the evening when the tour groups have departed. 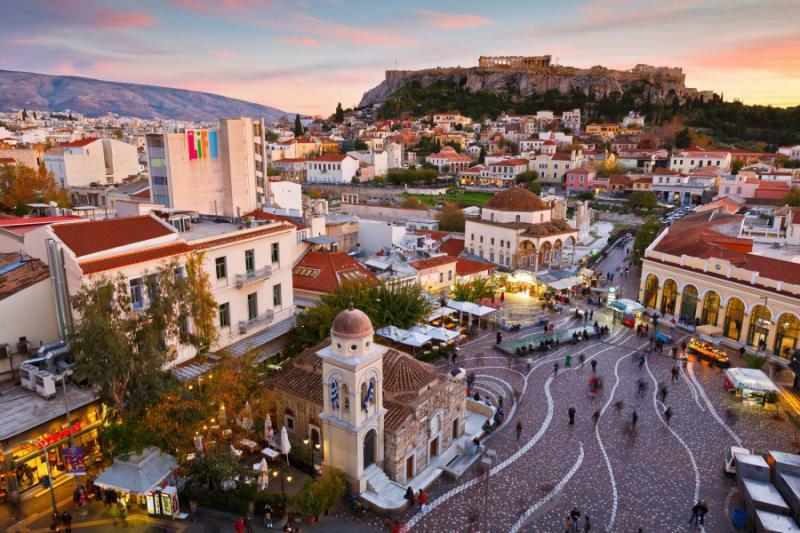 Ascend the hill at sunrise, the best time to visit the icon of ancient Greece, a time to explore the Acropolis and really soak up its atmosphere. In these quiet morning hours, you can sense the past and the grandeur of the architecture, with its details inscribed on every sculpture and column. 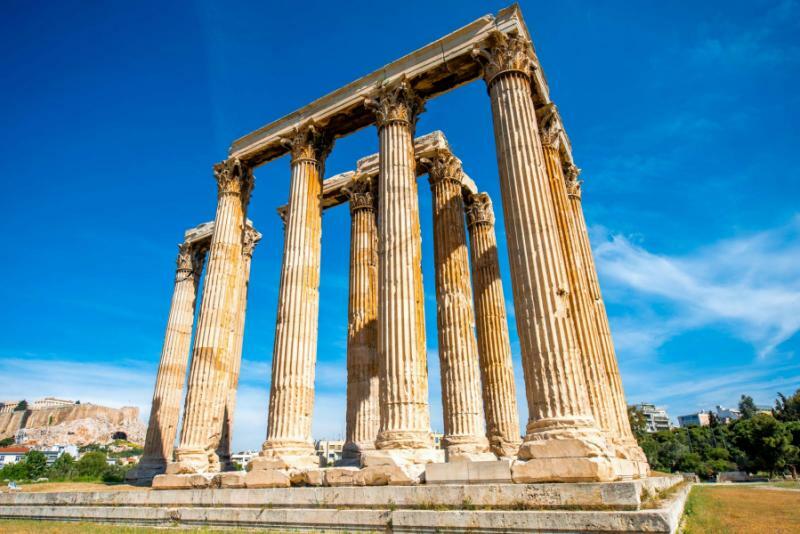 Wander through the Parthenon and the Theatre of Dionysus, past the Temple of Athena Nike, the Erechtheion, and the other remnants of the Greek Classical age, like the Temple of Olympian Zeus. 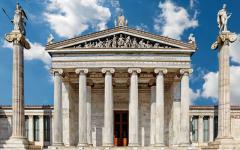 Descend through the Ancient Agora as the guide narrates the history of the Temple of Hephaestus, the best-preserved of all the Greek temples. It takes four hours to see all these landmarks and really inspect their details, after which you’ll be ready for a hearty lunch and a relaxed two hours on a cafe terrace. 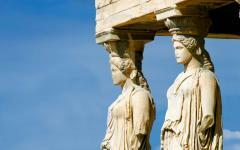 In the afternoon, you can visit one of the many museums and galleries around the Agora and Acropolis. Your guide will explain the options and accompany you. There’s been a lot to take in over the last four days, the best of ancient Rome and ancient Greece leaving an indelible imprint in the memory. The next few days will be equally packed with sights, so today is all about relaxing and recharging the batteries. Set off on a ferry cruise to the Aegean Islands, stopping at sandy beaches and sheltered coves, forgetting all about the history and absorbing the tranquility of the coastline. Stop at Hydra and Poros, spend languid hours at waterfront cafes, and feel the breeze in your hair as you cruise across the blue sea waters. Private transfers to the ferry port are included, and the cruise ticket is open-ended, with a wide choice of ferry times that can be taken dependent on how long you’d like to spend on the islands. The Great Pyramids of Giza stand majestic, their facades passing through hues of yellow and orange as the sun crosses the sky. You watch them from the hotel rooftop, embracing their splendor and iconic shape. The last remaining wonder of the ancient world (as proclaimed by the Greeks), these pyramids provide an idyllic late-afternoon and evening view. From the rooftop, you watch the wonders unfold, the scorched desert dotted with camels and the modern city stretching out behind the monuments. Cairo has a reputation as a busy and often chaotic city, but the old-world boutique hotel in Giza is as serene as it comes. Earlier in the day, you fly directly from Athens to Cairo, where a guide picks you up and takes you for coffee and brunch at a local eatery. 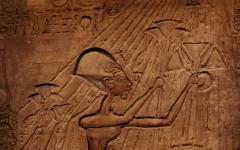 Then it's to the Egyptian Museum of Antiquities, a place of unimaginable treasures from the past. Relics and gems from the tombs are displayed, including those from King Tutankhamun’s. Corridors and galleries lead you through the dynasties, and the guide adds to the storyboards, building a picture of the ancient Egyptians that travels back over 5,000 years. A few hours in this inspiring museum sets the scene for the next few days, providing context while introducing the antiquities. You'll then travel to your five-star hotel in Giza where the relaxed evening on the rooftop awaits. Staying so close to the pyramids means that you see them before the morning crowds, a camel leading you past the Sphinx of Giza to the three iconic structures in the desert. Only by standing beneath them can you experience the enormity, two pyramids rising well over 120 meters towards the sky, each step as high as a person. You'll be guided inside one of the pyramids to learn more about its design, then stand back and admire the wonder of the ancient world from a panoramic angle. 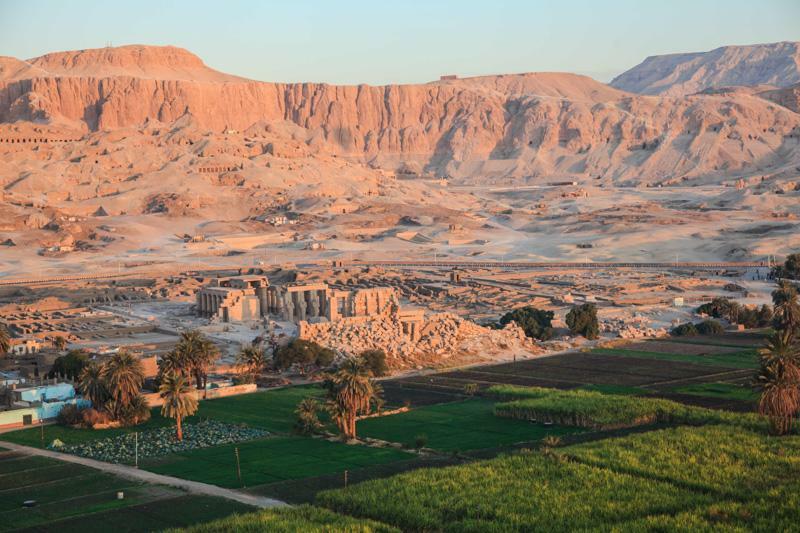 Leaving before the tour buses arrive, you head to nearby Saqqara, where pyramids and temples are dotted across the landscape. Amongst the crumbling ruins is the Egyptians’ first ever pyramid, a masterpiece of design built 4,700 years ago. 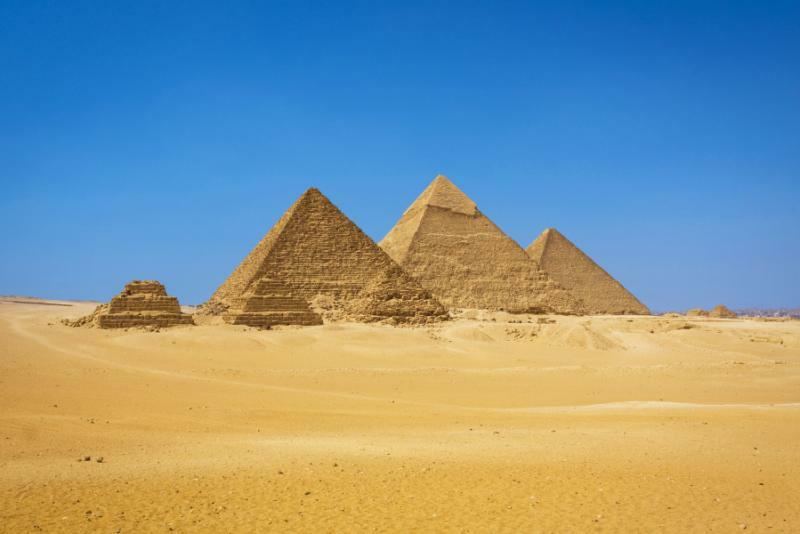 While Giza has the imposing scale, Saqqara shows it age in the most inspiring of ways. After lunch, you connect the civilizations with an afternoon in the old heart of the city. 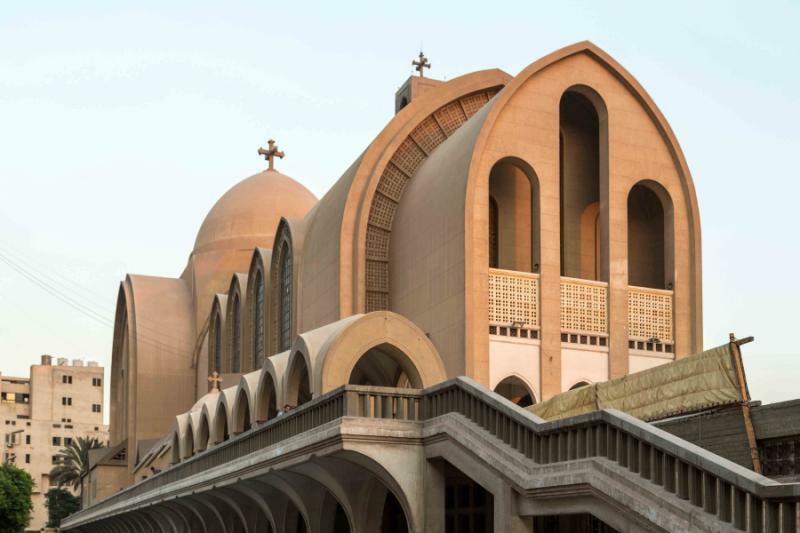 Wander down a maze of lanes to the 4th-century stone churches of Coptic Cairo, their facades rekindling images of your visit to Rome. Nearby streets reveal Islamic treasures, with calligraphy contrasting the hieroglyphics you'll have seen this morning. Smells and sounds reflect the past; the wooden cart of an orange seller, church bells echoing softly, markets appearing with fervor then blending back into the lanes. Return to Giza in the late afternoon, where that famous view keeps you captivated for another evening. 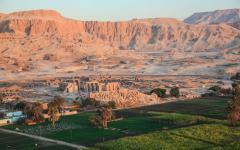 Touch down in Luxor, and you're immediately surrounded by the world of ancient Thebes. Monuments rise high above the River Nile, seemingly untouched since the 18th dynasty of ancient Egypt. 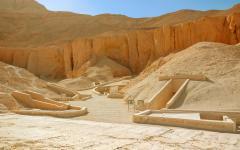 Carved stone and flowing hieroglyphics are never far away, dominating both banks of the famous waterway. After the direct flight, a new guide greets you, who slows the pace and introduces you to the rhythm of the Sahara. The sights in Luxor can't be rushed, so take your time over coffee while gazing over the Nile. After a meze, a Mediterranean appetizer lunch, you spend the afternoon in Luxor's West Bank, wandering amongst the tombs and temples that preserve the dynasty's monarchs. These are far more elaborate than Giza's pyramids. Stories are written in symbols that curve around columns. Colors remain bright on wall paintings that illustrate scenes from the rulers' lives. Walk into Tutankhamun’s tomb and breathe in the silence, absorbing the mysterious atmosphere that exists inside the grand tomb. Open your senses to the spirituality of the place, every footstep a reminder that the Valley of the Kings and Valley of the Queens are places of rest. Explore the three floors of the Mortuary Temple of Queen Hatshepsut and listen to the tales of Egypt's longest-serving female monarch. Luxor's West Bank covers a large scale, yet it's the detail that inspires, such intimacy etched into stone that refuses to crumble. The evening is spent at your hotel, which has a lovely garden opening out onto the River Nile. To the west was where the kings were buried. To the east was where the ancient civilization was centered. The remains of Thebes (the name given by the Greeks) continue to defy the imagination, temples, and avenues virtually untouched for many millennia. An early start helps to avoid the tour groups coming off the Nile cruise ships, leading you down an eerily empty lane of sculpted sphinxes to the Temple of Luxor. The biggest of all in ancient Egypt, this temple has a labyrinth of detail. 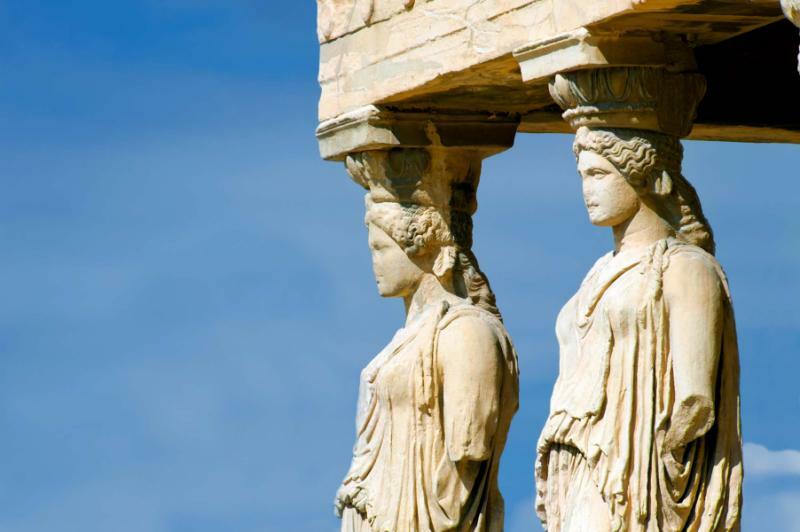 Stand beneath majestic columns as your guide explains the scenes carved into stone. Feel the enormity by standing alone in the great halls and courtyards, where the atmosphere of the past hasn't faded. Run your hands along the walls and appreciate the decadence of design, how every piece of the temple was built by hand. From here, you wander the remains of the ancient avenue through Thebes, towards the Temple of Karnak and more secrets from antiquity. 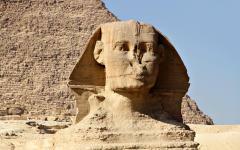 These monuments look great on photos, and the guide knows where to get you the panoramic shot. 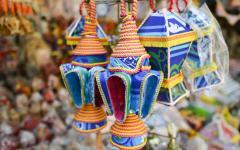 But the experience really comes alive by opening the senses to their ambiance. At times it's eerie, such history encasing your every footstep. At other times, it's serene, the moments of calm helping you appreciate all the details. Passing hieroglyphs and murals, columns and guardian figures, you explore Luxor's East Bank and uncover the secrets that go beyond the Ancient Egyptian storybook. Like yesterday, expect to explore at a leisurely pace that encourages you to experience, rather than go sightseeing. Exploring Luxor is an immersion in detail. So for a final treat, you enjoy the best evocation of its scale. 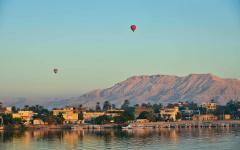 Rise above the Valley of the Kings at sunrise, a hot air balloon drifting across the monuments in the desert. Gaze down on the Nile River and the world's greatest open-air museum, trying to comprehend what you've seen over the last two days. 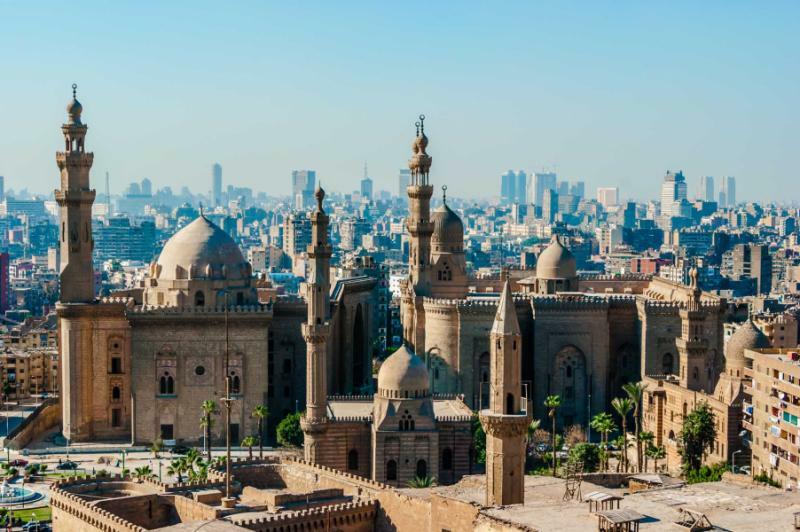 Stretching for miles on either side of the Nile, Thebes is the first piece in the jigsaw of the world's ancient cradles; cruising above it all is a fitting way to wave farewell to the past. Touch down to an extended brunch and then transfer to Luxor Airport later in the day, where a short flight to Cairo connects with your homebound departure. 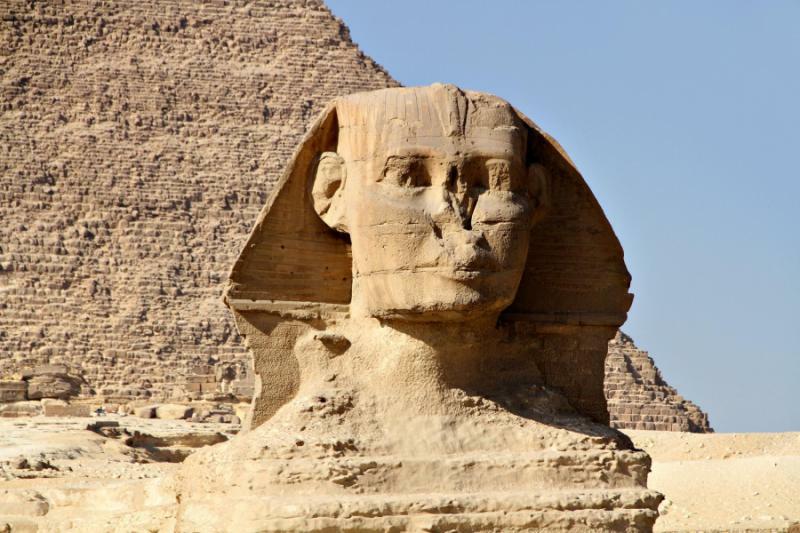 "... we generally feel quite well looked after - very responsible..."
"We would not change anything....we were completely satisfied with the Egypt travel agency." "All of it was wonderful, a trip beyond comprehension for a family who loves history..."
"We have never used a tour operator before so the high quality was a pleasant surprise." "It is a pleasure to say what a great tour company this is. Everything was perfect from the start."